Happy 80th Birthday Allan Ahlberg! 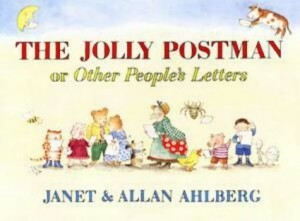 My younger brother had many of Janet and Allan Ahlberg’s stories on his bookshelf and when I first started teaching they were a staple of my classroom book box. I know so many of the Ahlberg’s stories off by heart, I regularly read them aloud to my first reception and year one classes. We also have several of the Ahlberg’s books and in celebration of Allan Ahlberg’s birthday we’ve chosen our favourites to share with you. We would love to hear about your favourite Allan Ahlberg books and the memories you have of reading them, either as children or with your children. 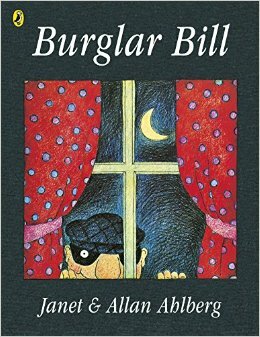 Burglar Bill: One night when Burglar Bill is out burgling he takes home a big cardboard box and is most surprised when he discovers that there’s a baby inside! That night, while lying in bed, Burglar Bill hears a noise and creeps downstairs to discover that he’s being burgled! Burglar Betty turns out to be the baby’s mother and after a chat over cocoa and biscuits the two burglars decide that it’s time for a lifestyle change. There is so much humour in this story, both in the text and the illustrations. We love the repetitive phrase that both Bill and Betty say as they find things to steal, ‘That’s a nice… – I’ll have that!’ and the items that Bill steals make us laugh! Children enjoy joining in with the repetition which also makes this a great story for a beginner reader and the ending is satisfying as Bill realises the emotional impact that stealing can have on others. 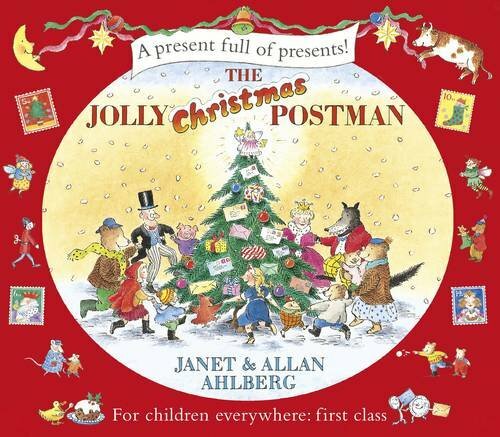 The Jolly Postman: The Jolly Postman delivers letters, cards, catalogues and books to a variety of fairytale and nursery rhyme characters (and also stops for a different drink at every house!). His final delivery is to Goldilocks who invites him to stay for her birthday party before he goes home for his tea. 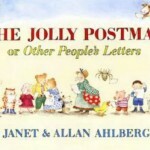 We meet several familiar fairytale and nursery rhyme characters as we join The Jolly Postman on his rounds. This is a lovely book to introduce children to letter layout, how to write an address and encourage them to make their own postcards and birthday cards. 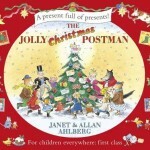 The Jolly Christmas Postman: The Jolly Christmas Postman delivers games, Christmas cards, puzzles, catalogues and books to a variety of fairytale and nursery rhyme characters. His final stop is to deliver the children’s letters to Santa who has a very special letter to give to the postman before giving him a ride home in his sleigh. Janet Ahlberg’s wonderfully detailed illustrations are very festive and include presents, mince pies, trees and snow. The seasonal stamps on the envelopes are lovely to look at and this is a great book to encourage children to make their own Christmas cards and talk about the concept of giving at Christmas. 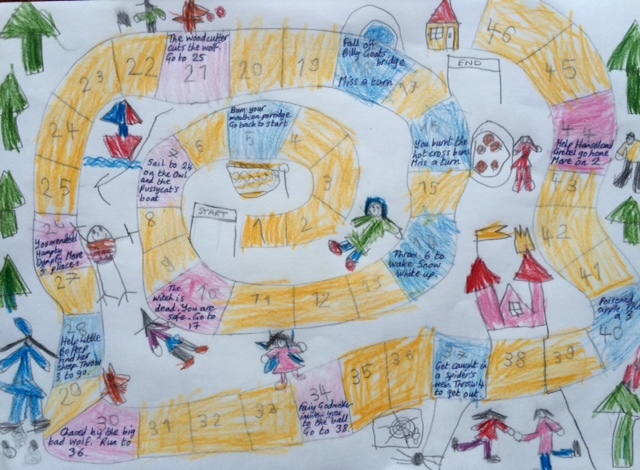 The Jolly Christmas Postman also inspired us to make a fairytale board game like the one that Red Riding Hood receives from the wolf. 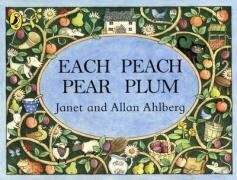 Each Peach Pear Plum: Each Peach Pear Plum is an I spy book which encourages children to find familiar fairytale and nursery rhyme characters in the pictures. It ends with a picnic where children can spot all the characters that they have met along the way. This is a really fun interactive book which can be enjoyed by children from a young age. Each spread has an easy to read rhyming text on the left and a detailed picture on the right. I read this story countless times when my daughter was smaller, she loved spotting all the characters in the pictures! Funnybones: Three skeletons, a big one, a little one and a dog, live in a dark cellar. One night they decide to take their dog for a walk and frighten somebody. As the dog is chasing a stick he bumps into a tree and falls apart so the big skeleton and the little skeleton put him back together before visiting their skeleton friends at the zoo. They still haven’t frightened anybody so the little skeleton suggests that they frighten each other. 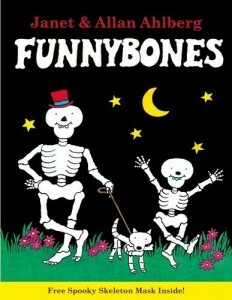 Funnybones was very popular with the four and five year olds in my first class. 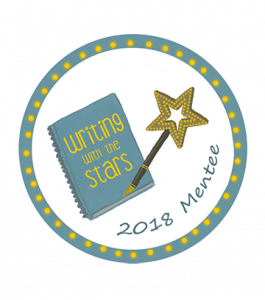 It’s also one of the most viewed books on Story Snug! 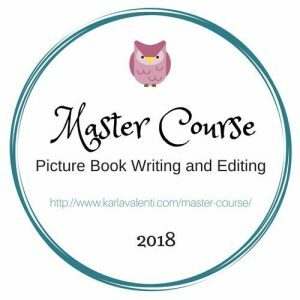 The text is easy to read and the repetition is great for a beginner reader (the story goes full circle with the repetition on the final page of the story mirroring the first page). We love Janet Ahlberg’s colourful illustrations which have a comic style feel to them and include speech bubbles to move the story along. Thank you Allan Ahlberg for creating stories that have left me, my daughter and so many readers with such lovely memories. 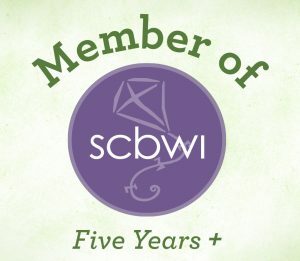 Have a wonderful, wonderful birthday! Do you have a favourite Allan Ahlberg story? We’d love to hear your favourites in the comments. 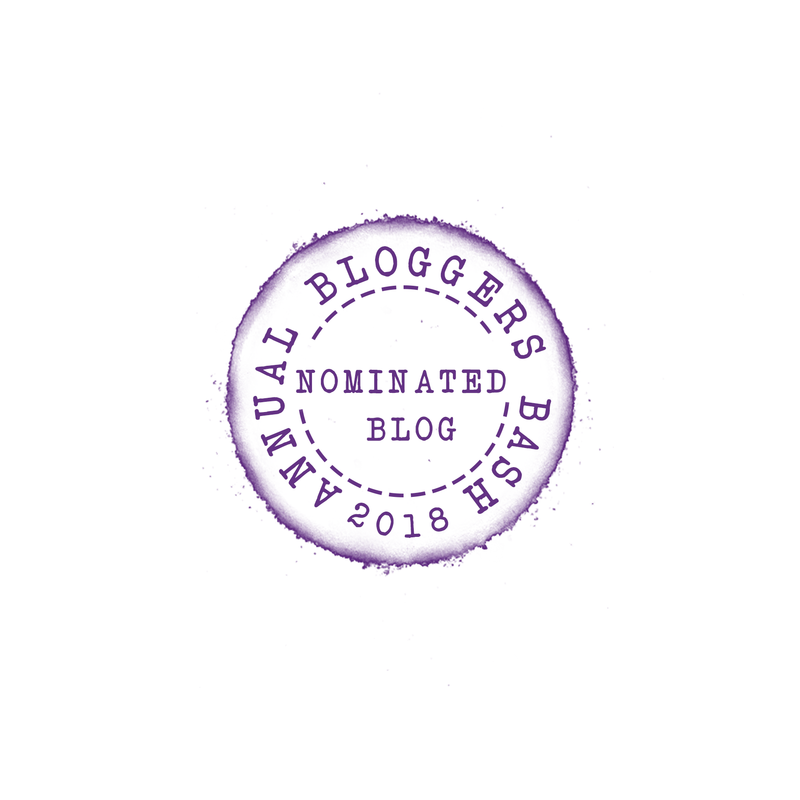 ← The Lollies 2018 shortlist has been announced today! 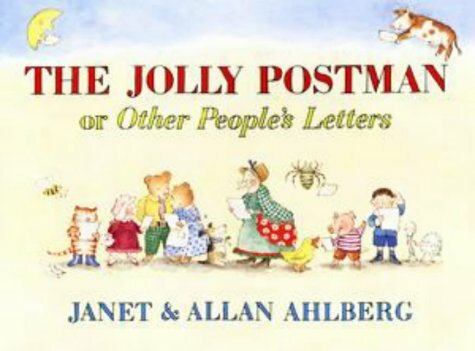 Allan Ahlberg is certainly a name I recognise, those book covers are all recognisable, yet I don’t think I’ve ever read any of his books – either as a child or a parent! It’s probably a bit too late to put that right now, but they all sound like wonderfully entertaining stories. Peepo is one of our favourites and my boys are currently really enjoying Funnybones. I remember loving these books when I was little and it’s so special to see my children enjoy them too. 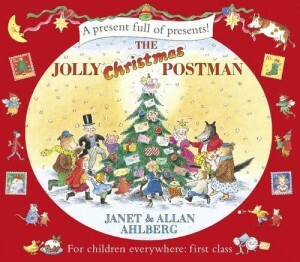 The Jolly Postman and The Jolly Christmas Postman are still favourites of ours, even though the girls are older now!